How does a real ghost hunter feel about Ghostbusters? Strip away the controversy driven by a few yahoos with internet access, and the idea of remaking "Ghostbusters" with women is the main thing that injects any life into an otherwise pretty banal summer movie. After setting up the slightly revised premise, though, the movie pretty conspicuously runs out of gas about halfway through, yielding lapses where it doesn't scare up much of anything, most notably laughter. 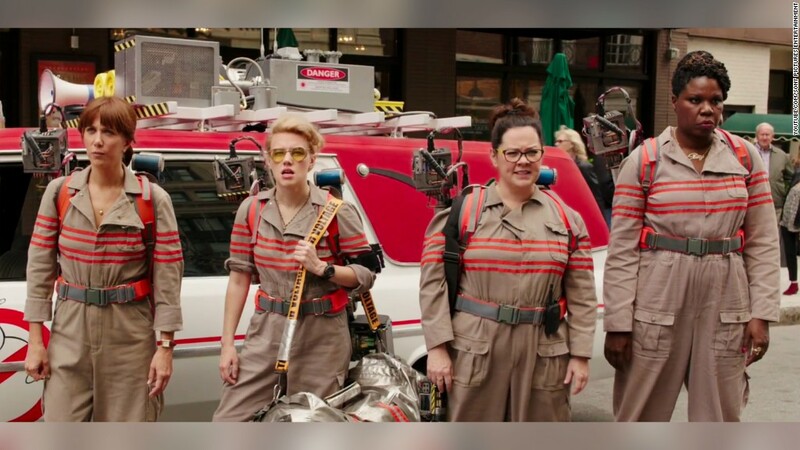 In a way, this is the Not Ready for Primetime "Ghostbusters," with Melissa McCarthy joined by "Saturday Night Live" stalwarts Kristen Wiig, Kate McKinnon and Leslie Jones, donning jumpsuits and anti-ghost packs to save the world. McKinnon, as the wild-eyed, mad genius inventor Holtzmann, brings the most manic energy to the proceedings, without being given anything approaching a back story. That's left to Wiig's Erin, a buttoned-up, about-to-be-tenured professor, eager to hide the fact that she once wrote a book embracing the paranormal with her former friend, Abby (McCarthy). When strange sightings start happening, Erin is enlisted to lend her expertise, leading to her reunion with Abby and her new partner in creeps, Holtzmann. But the trio of scientists -- plus Jones' transit worker after her own spectral encounter -- are soon destroying property and catching ghosts, so much so that the mayor (Andy Garcia) and his henchwoman ("SNL's" Cecily Strong) dismiss them as crackpots to prevent wholesale panic. "Don't be like the mayor in 'Jaws!'" Erin eventually snaps at him, provoking understandable indignation. Addressing one of the first version's shortcomings, Feig and writer Katie Dippold have sharpened the threat by introducing a human bad guy seeking to trigger this apparitional apocalypse. In the most inspired move, they also have the women hire a gorgeous but dimwitted secretary (Chris Hemsworth, revealing a flare for comedy when not wielding Thor's hammer), who Erin can't stop drooling over. It's only too bad those high points can't keep the movie aloft through its flabby midsection and inevitable, visually unimaginative last-act pyrotechnics. The film somewhat redeems itself in the closing frames, in part by getting back to the nostalgic shtick that animated its opening, but too much in between has the whiff of the "SNL" sketches that follow "Weekend Update." Mostly, this female twist on "Ghostbusters" provides a conceptually inventive way to stoke interest in a project that otherwise wasn't crying out for a second life, if only to see whether the result warranted all the fuss. That fallout bordered on the absurd, triggering a debate about whether the pushback against even the trailer could be traced to misogyny or merely misguided nostalgia. Yet despite various attempts to politicize it, like most remakes or sequels, the primary motivation here was capitalism, not feminism, in a movie that aspires to be escapist fun. From that perspective, the overreaction from those voicing outrage has done Sony Pictures (SNEJF) a favor. And if the movie performs well enough to yield the hoped-for sequel, there will be poetic justice in knowing that "Ghostbusters" received an assist from the very people who sought to slime it. "Ghostbusters" opens July 15 in the U.S.